Continuing Professional Studies (CPS) offers professional development services through the Graduate School of Education. CPS extends the Graduate School’s commitment to promoting lifelong learning for teachers and leaders in informal and formal educational settings. Our professional development staff will consult with you about your objectives to tailor a program that best fits your needs. To schedule a consultation, complete this quick survey. 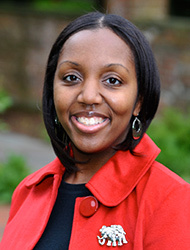 Dr. Candace Barriteau Phaire is an Assistant Professor in the early childhood/childhood program at The College of New Rochelle Graduate School of Education. Previously, she was an elementary school teacher at a public school in Brooklyn. She has also served as an Early Childhood Science Evaluator and Early Childhood Literacy Coach for the Educational Development Center (EDC) in New York City. In addition, Phaire is a Curriculum Specialist for Teach for America during the New York City Summer Institute. She received her PhD from New York University in the Department of Teaching and Learning, her MSEd in Elementary Education from Brooklyn College, and her BA in Political Science from Spelman College. Abigail Kerlin is an adjunct professor at Bank Street Graduate School of Education, where she teaches child development and curriculum courses and is the Academic Director of the Long Trips. In addition, she teaches courses at Hunter College and has supervised student teachers at Teachers College, Columbia University. Previously, Kerlin was a K–3rd grade Head Teacher at a public elementary school in New York City. She holds an MA in Human Development from Teachers College, Columbia University and an MSEd in Early Childhood Education from Bank Street College. 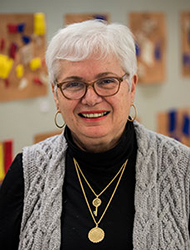 For more than 40 years, Wendy Pollock was a principal and director of early childhood centers and elementary schools in Yonkers, New York, and the Director of the Riverdale Y Early Childhood Programs in Riverdale, New York. 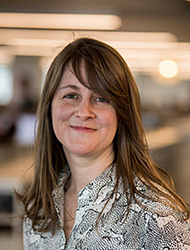 Pollock was a facilitator for the 2014 Summer Institute for Teachers and served as the Project Director for the Pre-K for All professional development collaboration between Bank Street and the NYC DOE during the 2015–16 school year. Previously, she was the director of Bank Street’s Early Childhood Leadership program and has been an instructor in that program for 27 years. Pollock earned an EdD in Curriculum and Teaching and an MA in Psychology of Education from Teachers College, Columbia University, an MEd in Educational Leadership from Bank Street College, and a BA in early childhood education/child development from Sarah Lawrence College. I used to think children became confused when using both languages. Now I understand that translanguaging is supporting their language development.